We Lithuanians love Lithuania, a country situated at the geographical centre of Europe, washed by the Baltic Sea, covered with dense forests and meandering rivers and lakes, respectful of its traditions, proud of the Lithuanian language, nurturing its UNESCO world heritage sites, and open to innovations. 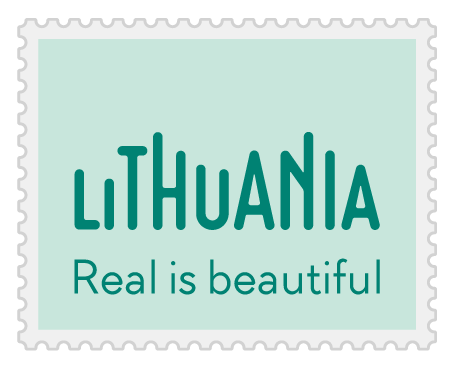 Visit Lithuania and fall in love with our country. One of the largest and most beautiful. Vilnius old town is one of the largest (about 360ha with over 1,500 buildings) and most exquisite old towns in Central and Eastern Europe and the most northernmost capital city which took over the architectural styles of old Southern and Western Europe. Assorted architectural styles. Vilnius ensembles of churches and palaces reflect Italian renaissance and baroque, the Russian Byzantine style, Jewish elements and even traces of pagan structures. Vilnius also has a Montmartre of its own – the Užupis Republic, the Mecca of artists with different galleries and art performances. Cosy and very close. Vilnius old town boasts the abundance of cosy cafes, restaurants, souvenir vendors and fancy boutiques. Narrow curvy streets promise new discoveries round every corner: an angel on the roof, a Picture in the window or a century-old building... Spending time here is fun. All’s so close and so appealing! Remember to bring home souvenirs for your family and friends! River banks talk to each other. This can happen only in Vilnius. What does one river bank say to the other? They confess love! Come and see yourself! Cosy streets, pleasing cafes, and all’s so close and so appealing! Vilnius will fascinate you! In 1994, Vilnius old town was included into the UNESCO World Heritage List for tremendous impact on Eastern European culture and architecture, preserved impressive complexes of Gothic, renaissance, baroque and classicist buildings, the structure of a medieval city and natural environment. Sands right in the middle of Europe? Unbelievable, but true! Over five thousand years ago the waves and winds of the Baltic Sea drifted dunes and eventually shaped the Curonian Spit – a stripe of land which separates the Curonian Lagoon from the Baltic Sea. The unique Neringa resort located on the Curonian Spit stretches for even 50 kilometres connecting the settlements of Juodkrantė, Preila, Pervalka and Nida. Wandering dunes. Nida dunes leave all visitors astounded. Standing on the peak of dunes you’ll enjoy a breathtaking view: hills of white sand and waves of the Baltic, the verdure of pine-trees and calm Curonian Lagoon. You get the feeling of listening to the symphony of wind, sand and water performed by nature. Peace and snow-white beaches. Neringa enchants with tranquillity. Professional yachtsmen and lovers of yachting, power kites and paragliding like to recreate here. Strolling along the seacoast, holidaymakers can find Lithuanian gold – amber rinsed ashore by the waves of the Baltic. By the way, Nida boasts the highest number of sunny days among all Lithuanian locations. Delicious fish. When in Nida you must taste the fish! The exclusive dish in this area is smoked fish: eel, bream, mackerel, pike-perch, herring and catfish. Fish is smoked according to special tradition passed on from generation to generation. Just wait and find out yourself – it’s more than delicious! Enjoy the tranquillity of dunes and the freshness of the sea and the lagoon! In 2000, the Curonian Spit was included into the UNESCO List of World Natural Heritage as one of Europe’s most beautiful and unique landscapes. Baltic mythology and pre- Christian traits. Do you know who a priestess is? What have bees meant to Lithuanians until our days? (The word ‘bičiulis’, which means ‘friend’, derives from the word ‘bitė’, Eng. ‘bee’). Why is the oak-tree a holy tree? Why has fire been worshiped to date and considered the patron of home? Lithuanian old traditions and folk-lore stand out from the heritage of European nations for preserved links with Baltic mythology and pre-Christian lifestyle. Distinctive music and dance traditions. We, Lithuanians, have original music instruments which you won’t find anywhere else: daudytė (embouchure aerophone), long shepherd’s horn audible dozens of kilometres away or wooden bells – wooden cow bells attached to a frame and beaten with sticks. All year round Lithuanian cities and towns host many traditional festivals. It’s always fun and exciting here! A real touch of authenticity. Have you ever been to an authentic festival or felt the spirit of an ancient lifestyle? Drop in to Rumšiškės! Here you’ll find a folk lifestyle museum – Europe’s largest museum under the open sky. In Rumšiškės you can travel around Lithuanian ethnic regions and visit ancient Lithuanian homesteads. All structures and household utensils at the museum are authentic and brought from different locations in Lithuania. The folk lifestyle museum cherishes the tradition of celebrating ancient calendar festivities. Discover the meaning and charm of unique ancient traditions! In 2003, UNESCO announced the Lithuanian tradition and symbolism the masterpiece of the oral and intangible heritage of humanity. The memory of ancient civilisation. To go back to very very old times you have to visit Kernavė – the distinctive site, which traces back the unique and extinct cultural tradition and civilisation. It boasts the Baltic States’ only complex of five mounds. Moreover, Kernavė is Lithuania’s ancient capital. Live archaeology. Every year in early June, on the occasion of State Day, Kernavė hosts spectacular “Live Archaeology Days” featuring demonstrations of ancient crafts, performances by ancient music companies and fighting shows of soldiership clubs from round the globe. You can try it, too! Discover the ancient civilisation and ancient lifestyle. In 2004, Kernavė mound quintet was included into the UNESCO World Heritage List. Songs. Folk songs have always been Lithuanian’s distinctive media to Express national identity and a phenomenon of national culture. Songs reflect Lithuanian history, work, lifestyle, lifecycles and natural phenomena. The unique songs, glees, have been sung at festivals to date! Even if you don’t know the language, you can second all right. Just try! Dances. Our dances are joyful and rattling, telling different stories: “Kepurinė”, “Polka su ragučiais”, “Pliauškutis”, “Suktinis”. Join! And we’ll party till dawn! The song festival. Lithuanian song festivals have been running since early twentieth century. Now they’ve settled at once in four years involving more than 30,000 Lithuanians from round the globe: singers, dancers and musicians. The song festival continues for several days including the folk-lore day, the folk art exhibition, the ensemble night, the dance day and the song day. Lithuania also holds schoolchildren’s song festivals, whereas Estonia, Latvia and Lithuania take turns in hosting student song festivals of the Baltic countries „Gaudeamus“. Discover how song and dance drive huge crowds together! The world’s first! It’s the world’s first monument dedicated to Frank Zappa. Emerged in 1995 on the background of graffiti-painted walls in the centre of Vilnius, the monumental bust of Frank Zappa (sculptor Konstantinas Bogdanas) is powerful attraction for Lithuanians and visitors who want to pay symbolic respect to the patron of modern music and of non-conformist approach to life. Gift to America. A similar monument should shortly appear in the USA city of Baltimore, where Frank Zappa was born and lived until he turned ten. The most impressive fact is that this monument is a gift from Lithuanians. On commission from Zappa’s fan club it was created by sculptor Bagdonas, author of the Zappa monument in Vilnius. Discover how an even alternative personality can be respected in Europe’s old capital. Organic products. Lithuanian forests are good for picking mushrooms and berries. Wild strawberries, bilberries and cranberries are fragrant with the scent of the forest and taste fantastic! Fishing in the river or lake is great entertainment and a valuable catch! Different entertainment! Hiking on Lithuanian lakes and rivers, swimming, canoeing and rafting – all entertainment is hard to enumerate! 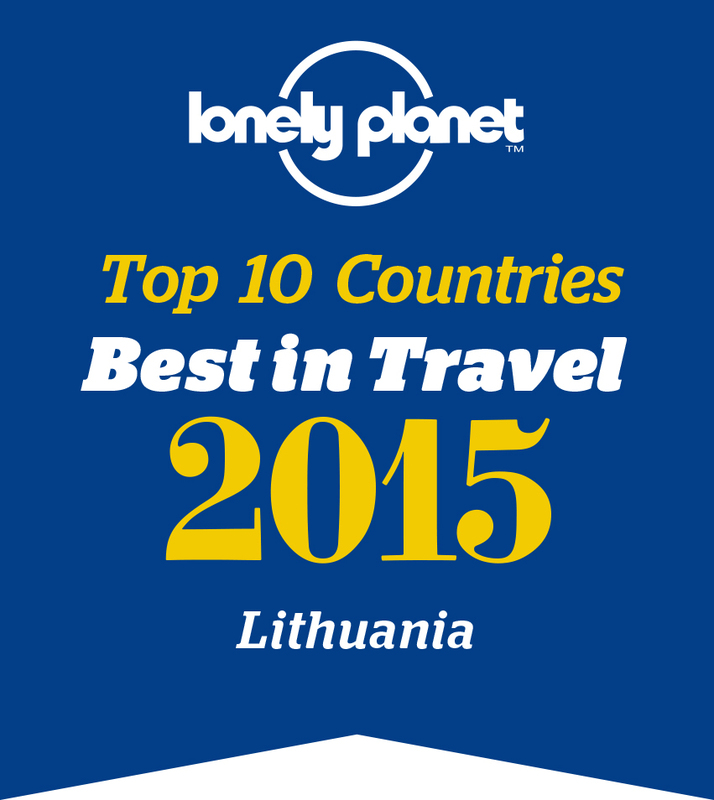 Lithuania has 5 national and 30 regional parks offering assorted entertainment. Although here specific protection requirements and visitors’ rules of conduct apply, they won’t prevent you from enjoying the beauty of the natural environment! Enjoy the retreat to pure and wonderful nature! 8. For the opportunity to unveil the iron curtain. Base of nuclear missiles. Established during the times of the Cold War in spectacular Plateliai surroundings in Plungė Region. Here you’ll find a militarism exposition. Visiting the grim catacombs of the nuclear missile base is shocking to the bottom of one’s soul. Survival drama. In Lithuania you’ll be offered the opportunity to return to the past. Performances “1984. Survival Drama” take place 25km away from Vilnius 5 meters underground in the two-storey labyrinth of 3,000 square meters built during the years of the cold war on instruction from Moscow as an alternative TV station. The survival drama starts from security guards with dogs. After depositing your personal belongings, you’ll dive into two hours in the stressful life of an USSR citizen. Experience the horrors of totalitarianism and understand why freedom is so precious. The centre of Europe is in Lithuania! Didn’t you know that? Now you do, so just have to visit it! The flight from any European metropolis will take not more than three hours. It’s wonderful, isn’t it? In 1989, researchers of the French National Geographical Institute found that Europe’s geographical centre was in Lithuania, 26km westwards from capital Vilnius. Guinness record. The fact of the geographical centre of Europe is registered in the Guinness Book of World Records. Art in the centre of Europe. The geographical centre of Europe is conveyed in the language of art at the Park of Europe. Here, on the area of 55ha under the open sky, more than 90 works by artists from 29 countries are displayed including famous creators of contemporary art such as Magdalena Abakanowicz, Sol LeWitt and Dennis Oppenheim. The museum develops as an integrated ensemble of nature and pieces of art. Feel the immensity of Europe standing in the very centre of the old continent! Water and mud cure. It’s definitely true! For ages Lithuanian resorts Birštonas and Druskininkai have been known for springing mineral water and mineral curative mud with curative features as good as at Europe’s most famous wellness resorts. Exclusive environment and services. Resort towns are situated on exclusively picturesque curves of Nemunas River surrounded by pine forests. Pleasing strolls and cycling hikes are out there for you. Here hotels and sanatorija conforming to European standards are at your service with latest diagnostic and treatment technologies and a wide range of procedures: underwater massage, vortex-, mineral-, bubble-, oxygen-, vertical and curative herb- and mudbaths. Procedures use natural products. In Druskininkai both young and old enjoy the huge water park. Oh, and the sea, the sea! Lithuanian seacoast resorts Palanga, Šventoji and Nida boast extreme popularity. We can assure you that you won’t find such snow-white beach sand anywhere round the globe! Not to mention the spectacular dunes! And of course, loads of entertainment! Refresh your body and soul in unique resorts! Substantial and tasty. Lithuanians like pampering their palates and eating substantially. The most popular traditional Lithuanian foods include black bread, cream cheese, cold beet-root soup (šaltibarščiai), zeppelins (didžkukuliai), potato sausages (vėdarai) and for desert deep-fried biscuits (žagarėliai) and Bankuchen (šakotis). During the warm season you’ll be offered cold beet-root soup in nearly all cafes and restaurants. Zeppelins and many types of beer. Zeppelins (didžkukuliai) are dumplings made of potato grate with a minced meat, curd, carrot or other kind of filling. Zeppelins go perfectly with a pint of cold beer, which boasts over two hundred recipes in Lithuania. Different world cuisines. Apart from inns offering national dishes, Lithuania has many restaurants with different world cuisines. Here you can enjoy your favourite Italian, French, Hungarian, Greek, Russian, Chinese, Japanese, Indian, Thai, Latin American and other cuisines and spend hours of gourmet treat. Top-class entertainment. Vilnius and other Lithuanian cities offer contemporary metropolitan-style entertainment with modern and cosy shopping centres and exclusive boutiques, beauty salons, night clubs, global brand stores... Enjoy top-class services! Feel like a real gourmet of taste and entertainment! Classical music and jazz. Lithuanian symphony and chamber orchestras, choirs and theatre and ballet troupes hold impressive performances, which have gained generous appreciation at international competitions. Art lovers are attracted by names of such world-famous performers as opera singer Violeta Urmanavičiūtė-Urmana, conductor Gintaras Rinkevičius and many others. Lithuania hosts many famous jazz festivals. For more than 25 years it has held the international jazz festival “Birštonas Jazz”, for 15 years Klaipėda Caste Jazz Festival, traditional Vilnius and “Kaunas Jazz” festivals and many others. Events of classical music are also popular: Kristupas Summer Festival, Vilnius Festival, Pažaislis Music Festival, Ch. Frenkel’s Villa Summer Festivals, etc. They attract performers from around the globe. Masters of theatre. Lithuanian contemporary theatre directors are known worldwide. Virtuoso of philosophical and visual expression on stage Eimuntas Nekrošius, who for several years has been referred to as Europe’s best director, staged “Hamlet”, “Faust”, “Mackbeth”, “The Song of Songs” and other plays. None the less famous is master of avant-garde theatre Oskaras Koršunovas with his plays “The Wonderful and Sorrowful Story of Romeo and Juliet”, “Lust”, “Master and Margarita”, “Loneliness for Two”, etc. His theatre is permanent participant at the Avignon Theatre Festival. Culture is alive! In 2009 Vilnius will become European Capital of Culture. With its programme “Culture live” Vilnius declares that art is created by not only professional artists, but also all city residents and visitors – each and every one who constantly creates life. Events of the capital of culture are already under way! Don’t miss your chance to see performances by the most famous masters of stage. Symbol of faith. The Hill of Crosses is Jurgaičiai Mound overgrown with innumerable crosses. Supposedly, this is the place where an ancient Lithuanian castle used to stand. The Soviet government had started to destroy the Hill of Crosses, but without success as new crosses continued appearing. The sanctuary of spirit. Today the Hill of Crosses is the spiritual sanctuary of many Catholics. Here you won’t find a church, a sacred picture or graves like in other holy places. It amazes the whole world with expression of prayer. Written sources first refer to crosses ‘growing’ on the hill more than one and a half century ago. Let your hopes and dreams come true! In 1993, Pope John Paul II visited the Hill of Crosses. John Paul II also put up a cross here – the symbol of love to humanity. All visitors crave for leaving their little cross here in token of hopes and dreams which come true. Reinforce your hopes and feel love for the entire mankind. In 2001, Lithuania’s unique branch of art, cross-making, was included into the UNESCO List of the Masterpieces of the Oral and Intangible Heritage of Humanity. East Europe’s largest caste on an island. You can visit it in Trakai – Lithuanian capital of the sixteenth century situated near Vilnius. Surrounded by lake waters from all sides, Trakai Castle and the museum inside it proudly track back to the glorious times in Lithuanian history. You can reach the castle after passing two bridges across Galvė Lake! Spectacular events. Trakai Castle hosts opera performances, concerts of classical and contemporary dance music, etc. The wonderful castle and the rippling vastness of lakes render fresh and surreal colours to music and stage art. This is simply unforgettable! Karaites. Trakai is also attractive for Lithuania’s interesting links with Karaites. In late fourteenth century, when the territory of the Grand Duchy of Lithuania extended as far as the Black Sea, Duke Vytautas brought Tartar and Karaite families from Crimea to settle them in Trakai. They used to protect the castle of the Grand Duke and were his devoted guards. In Trakai you can see Karaite dwelling houses and a temple. You’ll have lots of fun. Trakai is surrounded by even five lakes! It boasts splendid beaches, and you can row a boat, go yachting, wheel the pedalo and enjoy other entertainment near water. And you must try the famous Karaite kybyns and other national dishes! Enter the fabulous castle and admire the vastness of the lakes! Explore the city in a different way. Vilnius is one of the few European capitals which can be viewed from a hot air balloon. What is also amazing is that air balloons can take off and land in the very heart of the city – next to Neris River in Vingis Park and other places. Unexpected discoveries. The flight on an air balloon above Vilnius will leave you with the most remarkable impressions and will give the chance to look at the narrow streets of Vilnius old town from a bird’s eye view. You’ll discover a different Vilnius than you’ve known walking. Get your diploma! Organisers of air balloon flights are knowledgeable and experienced to guarantee maximum security for travellers. Before the flight, you’ll assist in preparing the air balloon and will learn how it’s operated, whereas after the flight you’ll be baptized into balloonists and will receive a flight diploma. You’ll have a brilliant remembrance from your stay in Lithuania! Rise above city roofs and get a bird’s eye view of Lithuanian capital. Artis Hotel located in the heart of the city! Restaurant Zemaiciu - one of the oldest restaurants in Vilnius!